Hundreds of millions of handset owners worldwide without data plans have a new way to access Facebook while mobile, thanks to Gemalto. The Amsterdam-based company manufacturers SIM cards for GSM phones and has a new card that leverages SMS to provide Facebook access. Facebook for SIM is launching first through Personal Argentina, allowing that carrier’s 17.4 million customers to use Facebook on the go, regardless of their handset make or model. 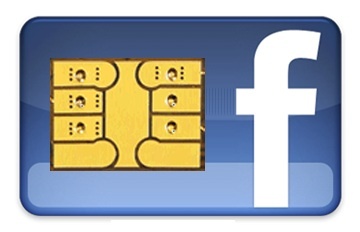 Gemalto first demonstrated its Facebook for SIM at February’s Mobile World Congress event in Barcelona, Spain. While any phone today can shoot Facebook status updates via SMS, Gemalto’s solution brings a richer, more robust experience without the addition of an expensive data plan. The software provides a menu system for sending Facebook updates, viewing Facebook posts from friends and even commenting on their status. Although the unique service doesn’t require a costly data plan, there is a fee involved. A free trial is offered, but once it expires, customers are charged a subscription — $1 for a day, $3 for a week, $9 for a month — for unlimited access to Facebook for SIM. This provides an additional revenue opportunity for both the carrier and Gemalto, while allowing customers to get more usage from their basic handsets. In regions where smartphone adoption is fast progressing, Facebook for SIM likely has a limited audience. Those consumers already have a capable handset and data plan for the full Facebook experience. But as Erick Tseng, head of mobile for Facebook, told me on stage at our Mobilize event last month, mobile access to Facebook is nearing half of all usage. Facebook is moving to a common HTML5 code base and bought Snaptu to help it reach more feature phones, but those strategies require a data plan. When you realize that most of world still uses a basic phone — without a data plan, but with SMS capability — it’s easy to see Gemalto’s Facebook for SIM has huge potential for a few years yet, even as Facebook itself tries to target the same feature phone audience. The audience is highly limited. Users of such basic phones that can’t support Java are few and usually not Facebook’s userbase. The Facebook Zero and Facebook for feature phones based on Snaptu are much better propositions. Not even talking about fees – Facebook zero can be basically used for free. And dataplans in developing markets are usually pay as you go without commiting to multiyear contracts with a fixed monthly payment.